The University of Southampton Students' Union asked us to come up with an LED stage design using their new LED panels, and to make VJ content to fit. 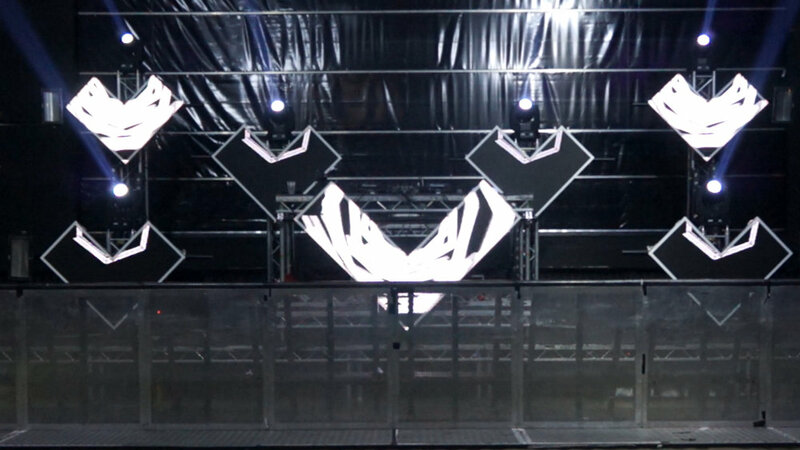 The result was a series of chevrons dotted around the stage with the largest in the center. We animated custom video content to suit the unusual shape of the screens and and made a bespoke project using VDMX and quartz composer to lay out the visuals on the screens. 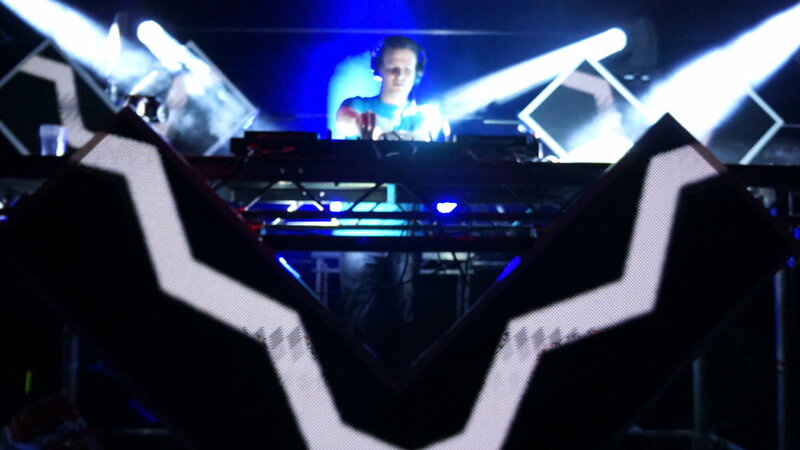 In this way we have much more control than if we had simply made content to go on each chevron, since by pairing up effects and techniques for placing the imagery on each LED screen, we can create many more effects and looks to suite the music. in all aspects of our work, we try where possible to keep away from ding the same old techniques, so creating an LED stage design like this, thought it is more effort, makes for an end result which is more visually engaging, photogenic, and memorable.